The Poster Contest is designed to encourage you to learn new things and give you a chance to share them with others. Did you learn about incubation? Is there something unique about your breed? What about an experience you had with your birds, chicks, or other poultry? This is a great way to take all of your effort and put it to good use! There's even first, second, third, & fourth place ribbons given in 4 age appropriate categories! Categories are divided into 5-8yrs, 9-11yrs, 12-13yrs, and 14-18yrs. 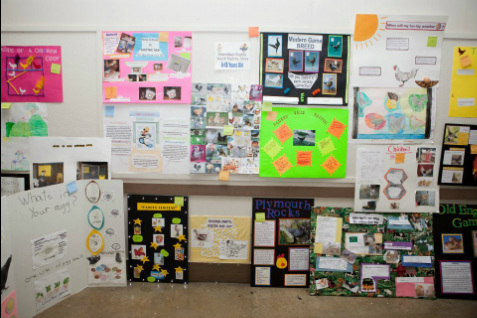 Simply bring your poster on the day of the show, ready for display to be judged on its merit & topic. There are just a few rules to keep in mind.